Recessionary climates and a global slowdown in many tissue markets do not seem to have drastically impacted the amount of new tissue projects that are planned worldwide over the next two years. 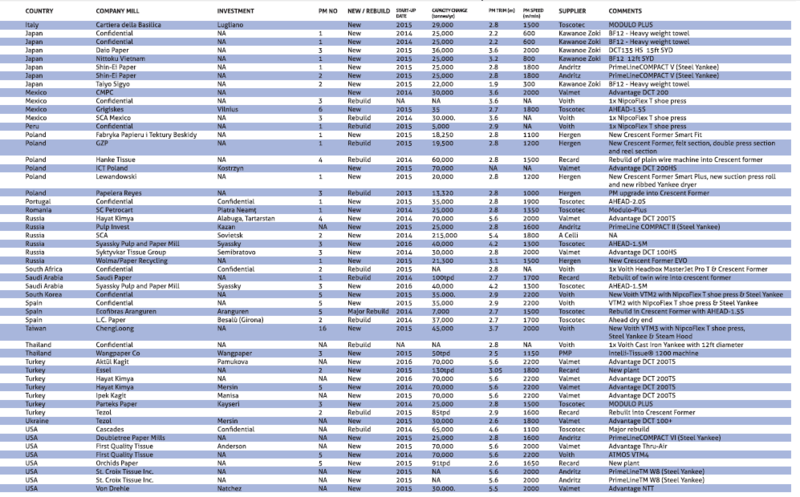 TWM’s 2014 Project Survey responses chart new capacity being added, ordered or in final planning stages in 2014-2015. All the figures in the survey are based on the best information provided. This has included TWM’s own extensive research, which has included relying on reliable responses from companies when they have been asked to detail their present and future developments. Many of the projects are subject to revision as, in many cases, information was not provided because it was deemed commercially sensitive or subject to financial uncertainty. It’s also the case that a distinctive feature of this time in the cyclical development of tissue production is marked by the timely closure of old facilities to make way for the new. In some cases, it is evident that delayed start-ups have meant projects have been repeated from last year’s survey; some of the ‘new’ capacity announced this year in fact includes some of last year’s estimate. 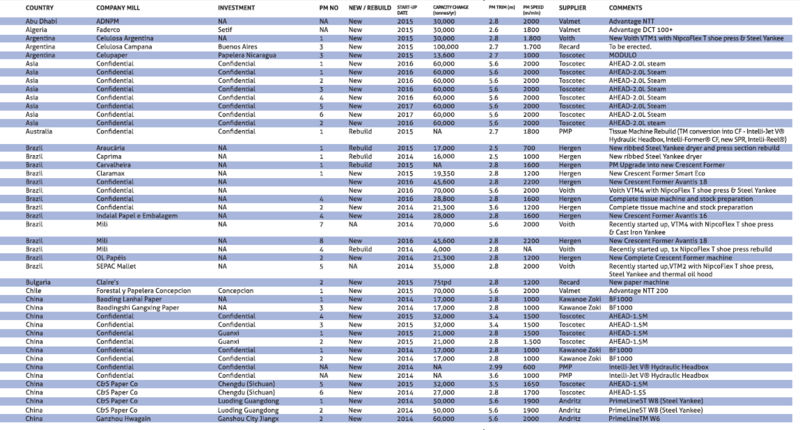 terms of the survey, unknown capacity. With that in mind, in the past 12 months the global tissue industry has seen another substantial amount of new capacity announced or coming on stream, with 146 projects in the pipe line, of which 52 are in China. 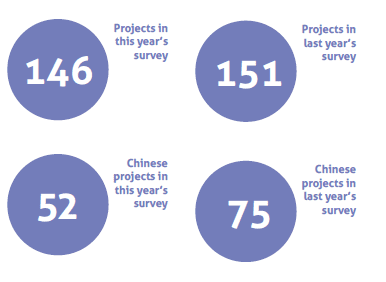 Last year’s Project Survey charted 151 projects, with China claiming half of them. As with last year, the scale of these machines is also significant – a large proportion of these new start-up machines have widths of 5.6m. Outside of China, more and more of this growth is still focused on or from countries such as Brazil and Turkey. However, it is still clearly an uncertain market with a mixed picture of startups and closures across the world. Chinese capacity expansions are rampant and project delays are only partially helping the overcapacity situation, which continues to feed a fierce price war and to provide much uncertainty to the industry. The Chinese nor the global market can absorb all of its planned capacity and it remains to be seen how this will continue to impact the market’s margins. Tissue giants including Asia Pulp and Paper as well as Hengan International have delayed their aggressive tissue investment plans as a reaction to the oversupply situation and heavy competition. In North America, the focus of most investments continued to be on the highest quality tissue category. Emerging economies continue to step up the pace and respond to market demands for innovative and sustainable products across a range of sectors in the market. All aggregates taken from the survey should be treated with some caution. While all care has been taken to publish comprehensive data, it is inevitable that projects will be missing or details incomplete. Many projects have also been delayed so start-up data used in the 2013 Project Survey has had to be repeated. We welcome your help to ensure as comprehensive a survey as possible in 2015. 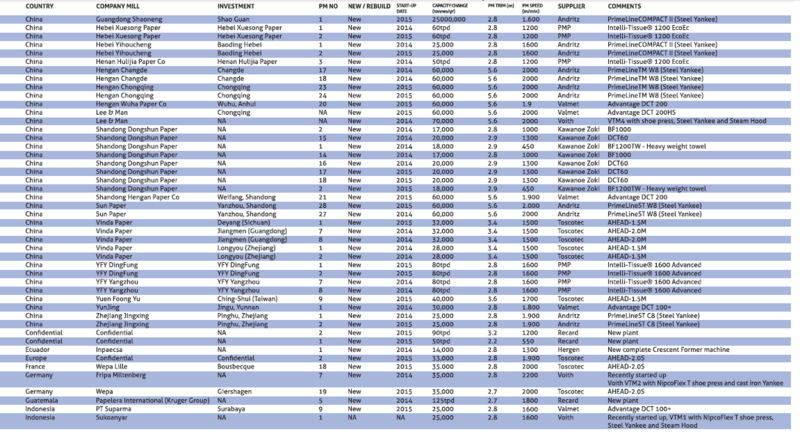 Share the post "Project Survey 2014/15"